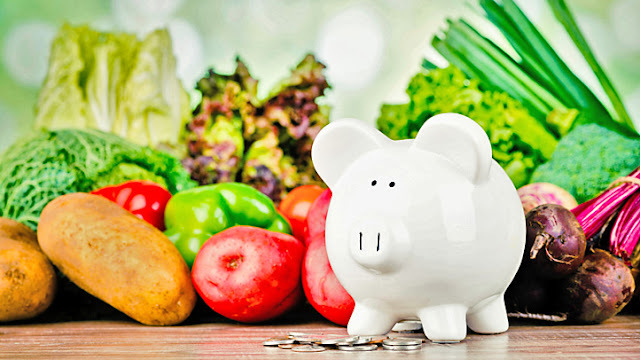 about eating healthier on a budget! This might be the most crucial tip for eating healthier and saving money. If you don’t know how to effectively read the nutritional labels on foods, you are just guessing or poking around in the dark. You need to know the significance of the serving sizes, calorie content, types of fat, types of carbohydrates, amount of protein, and various other nutrients. You ideally want to purchase foods with minimal or no saturated fat, cholesterol, and sugars. You normally want to go for foods with high amounts of fiber, protein, and micronutrients such as vitamins and minerals. Generally, the fewer ingredients that are listed, the better. If the ingredients list reads like a chemistry textbook, chances are the food is not very natural and may have a lot of junk in it that you don’t want to put into your body. Overall, if you don’t know how to read nutritional labels, how will you figure out how to find healthy foods at low prices? This especially comes in handy when you are comparing two similar products so you can purchase the cheaper one. One of the best ways to ensure that you are getting a good price on food is to purchase it in bulk. Obviously the company producing it saves on packaging and you get a discount for the large volume. If there is a food or product that you know you will be consuming a lot of for a long time, purchase it in the largest amounts possible. You of course need to take into consideration if and when the good expires but for many goods that will not be an issue. A lot of companies out there such as BJ’s and Costco offer very large amounts of food and supplements for very low prices. In the case of nutritional supplements, if you purchase very large amounts you may be able to get them at wholesale prices. Some excellent items to buy in bulk include whole grain pasta, brown rice, peanuts, peanut butter, almonds, tuna, sunflower seeds, whole grain cereals, coffee, tea, diet soda, and protein powder. Pretty much anything that doesn’t spoil quickly is fine to buy in bulk. You can also buy relatively large amounts of chicken breasts, grill them all up at once, and then eat them throughout the week. As I mentioned in the first chapter, I am a huge fan of discount stores such as Wal-Mart, Dollar Tree, BJ’s, Costco, Market Basket, etc for food purchases. Sure, the service and atmosphere is not always as nice as the more expensive stores, but the product is there and it is cheap. You don’t need to go to Whole Foods for an apple when you can buy the same one ten times cheaper at another store. Do you want to pay for ambiance or do you want to pay for food that can help you get in better shape? Purchasing food at a cheaper store does not necessarily mean you will get a lower quality product. Often times, you will be purchasing the same exact product for a lower price at these discount stores. When it comes to fresh meat and produce, you may want to look to a farmer’s market instead or just make sure the product you are purchasing is fresh and high quality. Farmer’s markets usually get their food locally while big discount stores may import their meat and produce from around the globe. Generic or store brand food products are often another great way to save a lot of cash. These companies save money with minimal or no advertising or by producing it in their own factories and the savings are passed to the consumer. Often times, the store brand is the exact same product or has the exact same ingredients as the brand name. The best way to ensure that you are getting the same high quality product is to hold up both products next to each other and read the nutritional information and ingredients. Compare them both and make sure that they match up evenly. I’ve even found many generic products that I like better than the original so it is a win-win situation.